Tropical biologists really suffer through the winter season unless somehow, someway enough time and money appears to work in the lower latitudes. So frequent reminders are needed to keep spirits up, and spirits themselves help too, although my preferences certainly are different seasonally. My university has this crazy idea that classes should be held, and faculty should teach them, during the winter months. It is only for the lack of resources that my classes are not conducted abroad as they should be and occasionally are. This is pretty view from a quite old picture taken on one of my first tropical research trips. 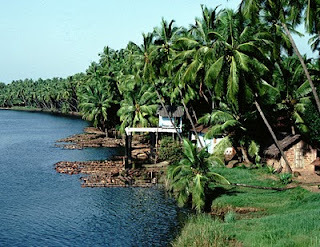 Coconut palms growing along a river in the land of coconuts, Kerala. 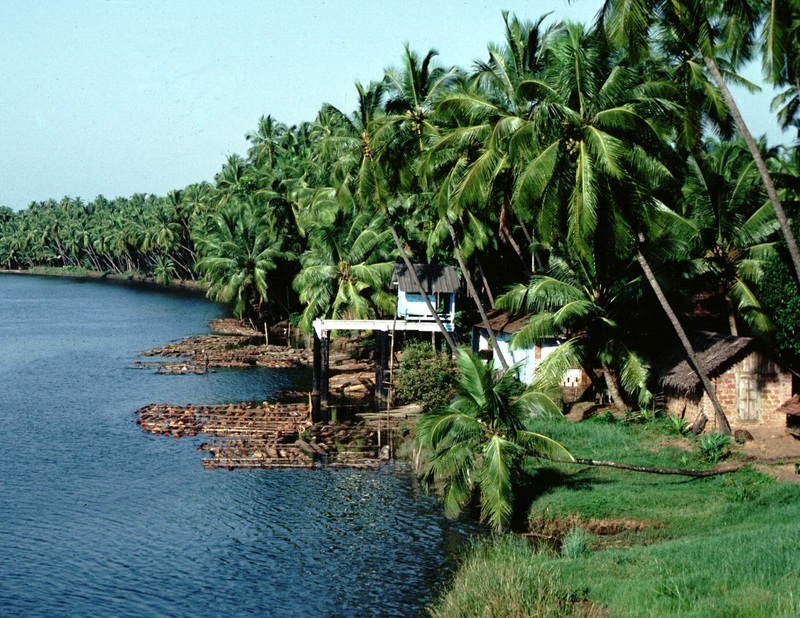 Most of these will be floated down river and used for fiber (coir). Feeling better?